1-CD with 24-page booklet, 30 tracks. Playing time 72:04 mns. 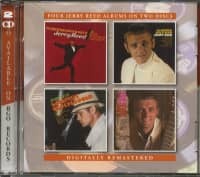 Including all his rockin' club hits like I've Had Enough, Mr Whiz, When I Found You and many more. 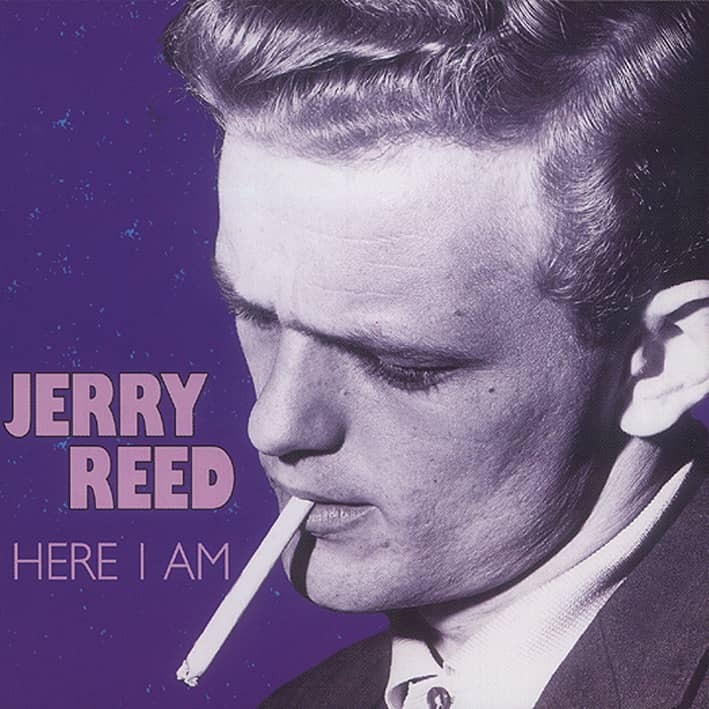 Jerry Reed has never been fashionable among those erudite journalists who endlessly rhapsodize over Merle Haggard, George Jones, Willie Nelson and Waylon Jennings. Perhaps his brash, blue-collar attitude never seemed as alluring or romantic as those country performers once labeled as outlaws. But in a career spanning nearly a half-century, Reed has produced a remarkable body of work that remains largely unappreciated. Reed's core audience fan base will always be the uncritical fans who best know him through his hit records and frequent acting roles in movies and television. But other Reed enthusiasts view him from more sharply defined perspectives. Guitarists know the dexterous fingerpicker with a style and original repertoire that defies imitation. Perceptive country music critics treasure the innovative albums he made for RCA Victor between 1965 and 1976 – his peak creative years. And then there's the collectors who treasure Reed's seminal work for Capitol between 1955 and 1958 - a joyous mix of honky tonk country, rockabilly and fifties pop. This long overdue reissue is for them. In speaking to reporters, Reed generally dismissed these early recordings, preferring to start his story in 1965, when Chet Atkins began producing his records and got his musical career on track. He graciously responds to inevitable queries about his early years, retelling the story about receiving his first guitar and acknowledging mentors like publisher Bill Lowery and Capitol Records producer Ken Nelson. 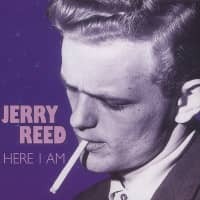 Not surprisingly, Reed would rather jump ahead to catalog his successes than relive the frustrations and failures that marked his first ten years in music. Jerry Reed Hubbard was the second child born to Robert Spencer Hubbard and Cynthia Hubbard, two Atlanta cotton mill workers who barely earned enough money to keep the family together. Jerry's birth on March 20, 1937 strained an already troubled marriage, and four months later the couple separated. For the next seven years Jerry and his sister were shuttled between Georgia orphanages and foster homes. They finally returned home in 1944 when their mother married Hubert Howard, another mill worker. Music provided a welcome diversion for the family. "When I was a kid of six or seven, I used to get up on the stove woodpile for a stage and I'd put on the wildest show," Reed told Bob Anderson in a 1979 'Pickin'' interview. "I'd sit beside the radio and listen to the Grand Ole Opry and play rhythm on a hairbrush." Encouraged by her son's continuing passion for music, Cynthia Howard saved seven dollars to buy a secondhand guitar from a neighbor. Using a nickel as a flat pick, she taught the nine-year-old his first chords. "She taught me C and G, a clawhammer G, and I proceeded to drive her crazy," he told Anderson. "I'd sit on the trunk in the kitchen -- I'd get up there 'cause I wanted to be on stage, you know. I always wanted to be an entertainer. And I don't have any other memories of ever wanting to be anything else." From the start he was determined to play music his own way. "I took one or two lessons," he told a reporter in 1969. "But the guy tried to make me throw my thumbpick away, so I quit that." One of his earliest influences was western Kentucky singer-songwriter Merle Travis, whose fluid fingerstyle guitar inspired a generation of musicians. "There was a song called 'I Am A Pilgrim'," he told Anderson. "I thought when I heard it, 'Boy, there it is! That man is walking with the big dog. He knows where the bodies are buried and I want some of that.'" By the time he entered Atlanta's O'Keefe High School, Reed was already writing and singing novelty songs. He also dabbled in acting, taking roles in school plays throughout his freshman and sophomore years. After completing his second year, Reed left school to work in an Atlanta cotton mill. He spent his free time honing his performing skills in local honky tonks. His early style was closely patterned after his principal musical heroes: Hank Williams and Tommy Collins. He also developed skills as an entertainer, often stopping a show with his imitations of popular country artists. In 1954 an Atlanta policeman, LeRoy Sumner, introduced the youth to Bill Lowery, who helmed a popular live country music show Saturday mornings over WGST radio. In a 1989 interview with Jim Ohlschmidt, Lowery vividly remembered Reed auditioning for him with a self-penned novelty called Aunt Meg's Wooden Leg. Recognizing Hubbard's talent, Lowery -- already an established music publisher -- encouraged him to write more songs and offered to guide his career. He brokered the youth's first road experience: a thirty-day tour opening for Ernest Tubb and the Texas Troubadors. For Reed, any lingering thoughts of possibly completing high school quickly dissipated. "School was never the same after that," Reed later said. "I knew what I was gonna spend my life doin'. Nothin' else made any sense. Nothin' else made any difference." Reed joined Lowery at WGST, working part-time as a disc jockey. 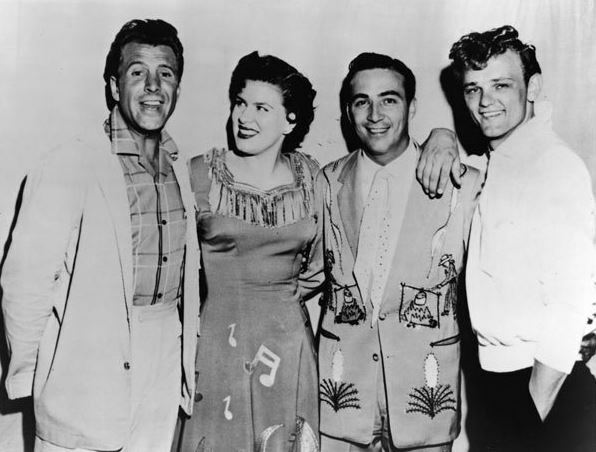 At night he performed with a band Lowery managed, Kenny Lee and the Western Playboys. "Pete Drake was on steel and I played guitar," he recalled. "That's how I broke in, playin' dance gigs, clubs, skull orchards." Customer evaluation for "Here I Am (Capitol Classics 1955-58)"